In my post yesterday, I discussed how the image of a beer, wine or food can change when a smaller company is bought out by a larger one. I also pointed out that even without such a sale, longevity in the business or increased competition will alter public perceptions over time, except when they don’t for magic circle products like Coke or Heinz Ketchup. Today I want to raise an aspect often overlooked in these discussions, which is that something vital is often lost when a small company is sold to a much bigger one. 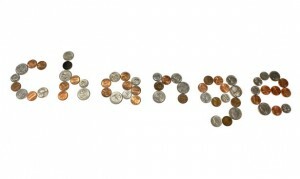 It’s not that the products purchased will change over time (although they may). But the products will be integrated in the company’s existing range, usually as a specialty line or in a separate division. Former management may stay on for a few years, but in time will depart. The specific vision and mindset they had which, had the company remained independent, might result in the adoption of new products or positive changes to existing ones, are unlikely to exist in a large company staffed by professional managers which reports financial results to public shareholders. In the last 10 years or so, the core products of an acquired small brewery are usually continued – this is unlike the typical pattern of brewery takeovers in previous generations. Indeed, the same or a similar standard often is maintained. Ontario’s Creemore Lager, say, tastes as it always did despite being made for 10 years now by Molson Coors. To be sure, new Creemore beers have been added since the purchase, including pilsener and keller (unfiltered) versions. In my view, these are very similar to Creemore Lager itself though. There is also a darkish altbier, although its background taste (to me) is very much “Creemore”. Had Creemore not been bought 10 years ago, might the brewery have issued completely different new products? Maybe a line of English-style ales, or an IPA, or a Belgian range, or a pumpkin beer or sour beer? I think this is likely, whereas in the hands of the current owner, the brand line is fairly static. There are pros and cons in this of course. Creemore has much wider distribution than when its founders ran it. You can buy it in Quebec. It’s available in hundreds of bars and restaurants across Ontario, when at one time it could be hard to find. But something vital may have been lost. Take Sierra Nevada Brewing Company, one of the great successes of the craft brewing revival. It has remained independent for over 35 years and is still controlled by one of the founders, Ken Grossman. After many years of sticking to the original product line, it blossomed some years ago with a range of creative and interesting styles. Some bear only a tangential connection to the original line-up of Pale Ale, Stout, Porter, Celebration Ale and Bigfoot. There’s the Ovila Belgian-style range, a reconfigured Celebration Ale, numerous collaborations, a fine red IPA, etc. Had Sierra Nevada been sold 20 years ago, would this further range of beers and tastes have graced the public market? I doubt it. I think the same is true of Boston Beer Company, maker of Sam Adams Lager and an almost countless number of other beers. Had Boston Beer Company been bought 20 years ago by mega-brewing, there might be two or three of its products only in the market – maybe only two, Sam Adams Boston Lager and the light version. Innovation and new products or line extensions seem order of the day in Chicago at Goose Island Brewery, taken over by Anheuser Busch InBev a few years ago. Maybe small-company flexibility and creativity can continue at large shops, too. There is an exception to almost everything in life. But it remains to be seen if this trend will last. It should be said too that a large company focused on the price or mass-market segment can spontaneously adopt small company ways: this happened when Pabst finally re-issued Ballantine India Pale Ale. Unfortunately, the company missed the mark regarding the palate of this product, in my opinion, but that’s another issue. In general from what I’ve seen, large companies think differently than small ones. They are not as good at certain things and better at others. In a perfect world, I’d rather see all small companies continue for generations and stay family-owned unless sold to key employees. But the world is not perfect. Small companies need access to capital, and good distribution to expand and even (sometimes) survive. A founder may take sick, or want to retire, and not find someone suitable to continue the business. When small breweries are sold, some of that risk is reduced. But something is often lost, too. 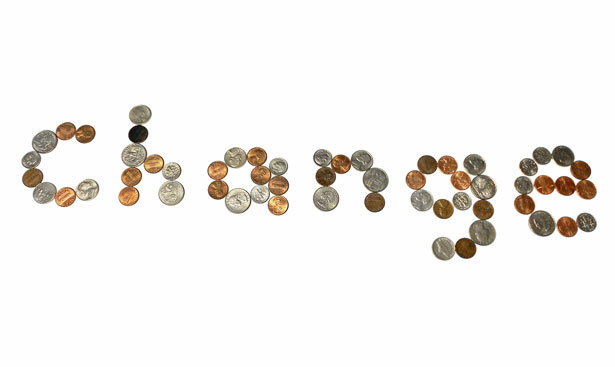 Note re image used: The image, entitled Make Change, is in the public domain and was sourced here.